Google has released a new Chrome feature that lets you mute tabs. Sometimes we just want a little quiet when browsing the Web, and Google Chrome keeps getting better at shutting things up. Its latest is a new feature that lets you mute tabs just with a simple right-click. The new feature comes in handy when you're listening to music or a watching a video in one tab, and all the sudden you start hearing audio from another tab you have open. The muted tab appears with an icon in the shape of a crossed-out speaker. 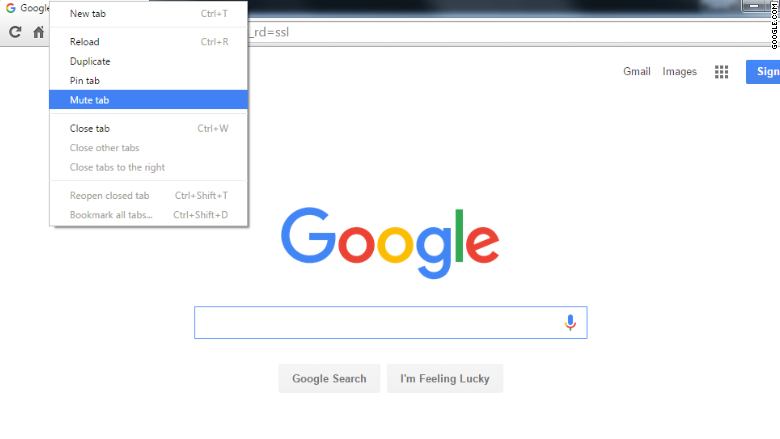 This new feature is the latest in a long line of Google (GOOGL) Chrome advances. A few months ago, Chrome let you click on those speaker buttons to quickly mute the tabs. But it was an experimental feature and not easy to do. You had to enable the feature by typing "chrome://flags/#enable-tab-audio-muting" into your browser and clicking "enable." In a more recent update to the Chrome browser, Google decided it would longer allow sounds and videos to load in background tabs. You will have to click on a tab to load a video or streaming media file -- even if it is set to auto-play.